Protect your furniture while enjoying a beverage with these natural stone coasters from JK Adams. 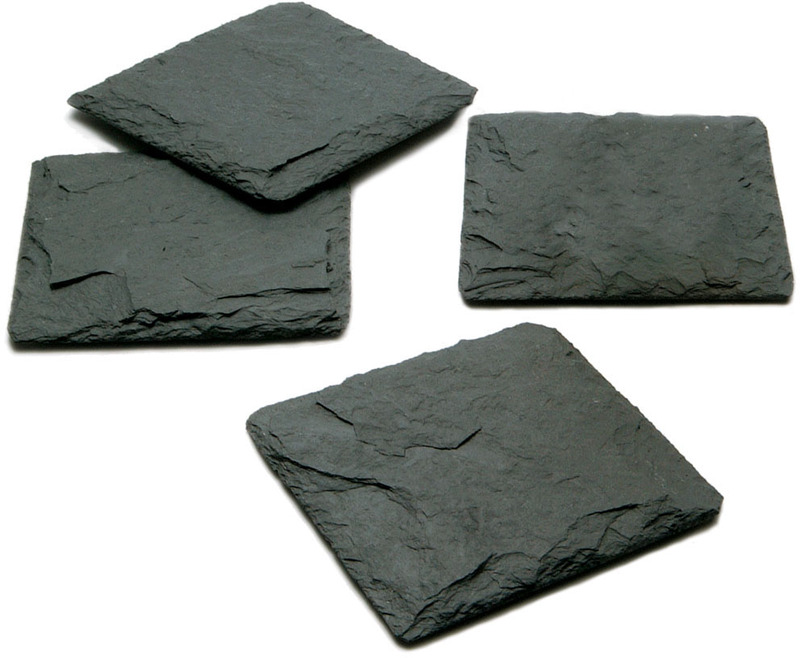 This set of four Vermont slate coasters comes in a rich charcoal color with a naturally flaked edge that highlights the beauty of the stone. Backed by a manufacturer's five year warranty, they have full felt backing that protects your furniture surfaces while preventing slips. Made in the USA, each coaster has a large surface area that can easily accommodate oversized glasses.